Everything fades... I saw a few eps from season 3 on TV today and it ispired me to do this ^_^ "Everything fades" - song দ্বারা Poets of the Fall. 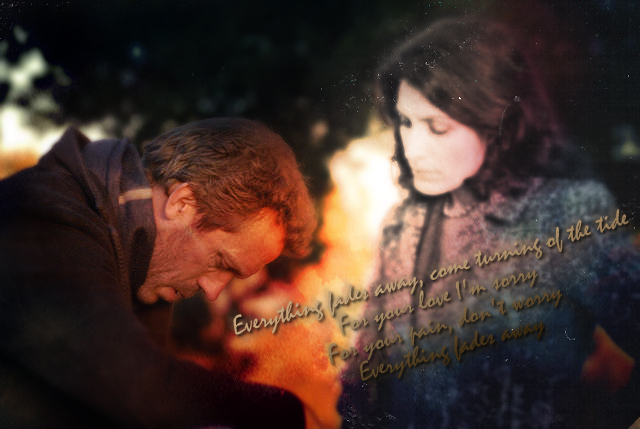 Wallpaper and background images in the Huddy club tagged: house m d huddy house cuddy hugh laurie lisa edelstein season 3 fanart one day one room. This Huddy fan art contains অগ্নি, অগ্নিতে, and নরক. There might also be সাইন, পোস্টার, টেক্সট, and চকবোর্ড. AWWWWWWWWWWWW Kat you are breaking my heart.